No matter what a movie is about, it is impressive every time a film can go the entire length and not use a word of recognizable dialogue. 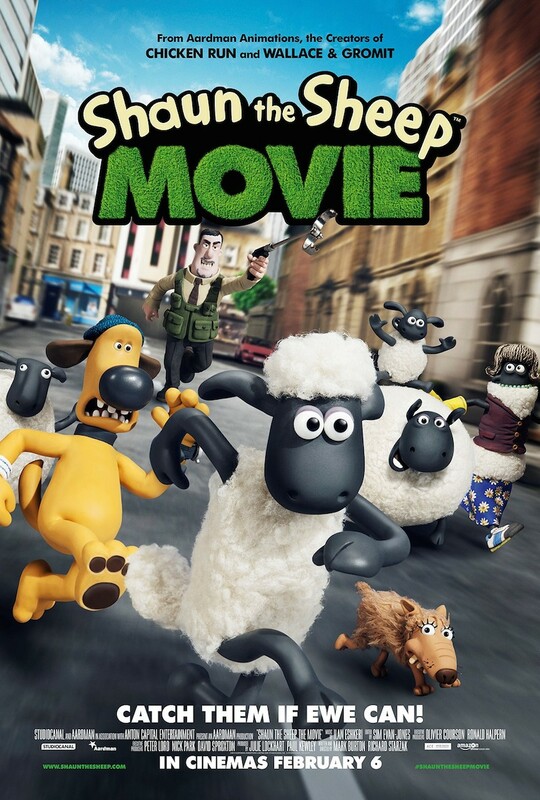 “Shaun The Sheep” falls into this category, and garners more acclaim for being both animated and family-friendly. This time around, the animation jumps out far more due to how lively the scenery is. Due to the lack of dialogue, we are free to pay more attention to the finer details, like how each of the tuff of fur on the sheep moves or how the water is so graceful and pleasant. Many of the smaller points in “Shaun The Sheep” are the ones I remember the most, like Shaun getting his motivation from passing buses and billboards. While I would take “Wallace And Gromit: The Curse Of The Were-Rabbit” over “Shaun The Sheep” for its grand scale and never-ending barrage of jokes, I have nothing but respect for this film. It teaches children and adults that you don’t necessarily need dialogue to tell a story. Film is a visual medium, and sometimes we get more out of an expression or gesture than we can out of any words. This is far more difficult in animation, when you’re dealing with something not human and have to sculpt everything by hand. Then again, when everything turns out just right, it makes the result all that much more special. My kids and I are looking forward to this one.